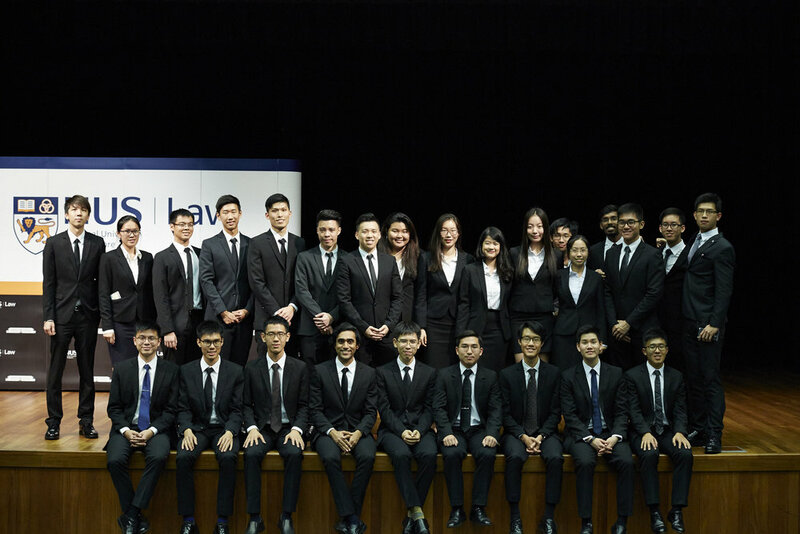 The Singapore Law Review Annual Lecture 2017 was delivered by Attorney-General, Mr Lucien Wong SC (“AG Wong”). Notably, AG Wong recently took office as Singapore’s 9th Attorney-General on 14 January 2017, succeeding Mr V K Rajah SC. AG Wong’s lecture, which was entitled “Prosecution in the Public Interest”, covered issues such as what the public interest is, and how prosecutorial discretion interacts with it. Interestingly, AG Wong highlighted that the public interest permeates all the decisions that are made by the Attorney-General’s Chambers (“AGC”), and determining what is in the public interest is something which AGC officers engage in on a daily basis. Nevertheless, AG Wong opined that it is impossible to lay down a definitive statement as to what the public interest is because this has to be determined on a case-by-case basis. Action is taken in the eye of the public. While it is widely known that every prosecution initiated by the AGC is named Public Prosecutor v [name of accused], AG Wong emphasised that this is not merely a naming convention. In other words, the fact that cases are brought by the Public Prosecutor means that decisions to prosecute are made independently. As the Attorney-General, AG Wong wears 2 hats. Firstly, art 35(7) of the Constitution of the Republic of Singapore (“Constitution”) provides that AG Wong is to act as the Government’s chief legal advisor. Secondly, art 35(8) of the Constitution vests in AG Wong the power to institute, conduct or discontinue any proceedings for any offence. These two functions are separate and distinct. In particular, AG Wong stressed that prosecutorial decisions are made by himself and his Deputies. The second point is that criminal prosecutions are initiated by the AGC not to further the private interests of the victim, but to further the larger public interest. While AGC does take into consideration the views of the victim, AG Wong emphasised that they are not determinative. AG Wong mentioned that various factors are considered when it comes to determining what is for the good of the public, and it is impossible to give all-encompassing factors. However, there are largely 4 objectives they often aim to achieve via prosecution. The AGC maintains a non-negotiable policy to prosecute crimes that affect the public safety in Singapore. Instances of such crimes include corruption, serious financial crime, drugs and violent crimes. AG Wong highlighted that Singapore today is deemed as one of the safest cities in the world, and is heartened to note that in 2016, Singapore reached 30-year lows in violent crimes, housebreaking, theft and robbery. In particular, safeguarding social harmony is also part of maintaining the safety and security of Singapore. Situations around the world shows that damaging social relations can result in serious consequences. By promoting a culture where rights are respected, it provides for a conducive environment for business. Business may be competitive, even cutthroat, but they must adhere to the rules. There is a zero-tolerance policy against money laundering and corruption. Should corruption be tolerated in Singapore, our reputation as a safe and honest place to do business would be irreparably damaged. The promotion of strong public institutions is essential for the peace, harmony and prosperity of Singapore. AG Wong went on to explain the seriousness of the crime of contempt of court. Though it may not fit with layperson’s view of a crime, it is in fact viewed as the one of the most serious offences a person can commit. There is a need for strong public confidence in judiciary to be maintained (both locally and abroad). AG Wong introduced the fourth objective with an example Singaporeans are all too familiar with - the haze. The haze not only has an impact on climate change, but also on human health. With recent changes in the law, Singapore is now in a position to prosecute companies within Singapore who contribute to pollution overseas. AG Wong also noted the rise in fake news and offences against some of the most vulnerable members of society, such as domestic workers and the elderly. On the topic of offences against elderly persons, AG Wong explained that as the elderly have worked hard their entire lives, they often have substantial savings, making them potential bribe targets for fraudsters. There is hence a need to provide protection of law by severely prosecuting offenders, achieving the ultimate objective of deterrence. AG Wong explained that prosecution is also done according to values of the public. Prosecution does not aim to win at all costs, but rather, to obtain a just outcome. Neither is it a policy of the AGC to always automatically prefer the most serious charge. AG Wong emphasised that every defendant has the right to claim trial, and the AGC will not push for overly excessive and punitive sentences just because the defendant has decided to claim trial. However, it is important to note that the way the defendant pleads his case may affect the sentencing outcome. Where a serious offence has been committed, but the evidence may not be as compelling, the AGC will still likewise pursue a conviction. AG Wong stressed that prosecutions were open to valid public scrutiny, and rightly so. Nonetheless, he maintained that scrutiny would not detract from the Prosecutorial drive toward justice, and hopes that the public may scrutinise fairly. Whilst there is no hesitation to respond to public interest for a tougher sentence, they will similarly not compromise on procedural fairness for the offender. He noted that this must be so, even if ultimately it undermines the Prosecution’s case. An “even-handed approach” is hence taken by the Prosecution when prosecuting offenders. He noted, “The public, and the public interest, expects no less from us”. On sentencing, AG Wong highlighted that the prosecutors also submit on sentencing with the public interest in mind, on top of prosecuting in the public interest. While this may seem odd at first blush, it is indeed not surprising that all parties (i.e. prosecutors and defence counsel) have a duty to help the Court arrive at a just sentence. In this regard, AG Wong clarified that it is not AGC’s practice to always ask for the highest sentence possible. This would depend on the individual case at hand and takes into account larger societal objectives. A point which is noteworthy is AG Wong’s firm stance on 2 particular types of offences, namely, sexual offences against minors and offences against foreign domestic workers. As regards such offences, AG Wong made it clear that the prosecution would press for deterrent sentences in the interest of the public. AG Wong also cited another recent example where the AGC disagreed with the original benchmarks laid down in the case of PP v Chow Chien Yow Joseph Brian  2 SLR 335, which involved national service defaulters. As the AGC was of the view that the existing benchmarks did not fully reflect the seriousness of the offence, the prosecutors made submissions to the court to increase the benchmark sentences in order to highlight the importance of the national service obligation. These submissions were subsequently accepted by the High Court in PP v Sakthikanesh s/o Chidambaram  SGHC 178. In contrast, pursuing even-handed justice means that a just sentence is one that is also fair to the accused. In that regard, the prosecutors will consider mitigating factors carefully and may even take active sentencing positions that favour the offender. For instance, in PP v Lim Choon Teck  5 SLR 1395, the prosecution appealed against the 8-week sentence imposed on a cyclist who had injured a 69-year-old woman on the ground that it was manifestly excessive. This was certainly unconventional as it was “the first time the Prosecution had appealed against a sentence on this ground” (at ). Eventually, the sentence was reduced to 2 weeks by the High Court. In sum, these examples clearly reflect AGC’s commitment towards sentencing in the public interest, and it is indeed encouraging to know that AGC does not view accused persons as their “adversaries” although the criminal justice system is adversarial in nature. In sum, AG Wong highlighted that prosecutorial discretion is a multifaceted and complicated task which requires a balance of various competing factors. Reaffirming the AGC’s commitment towards prosecuting in the public interest and for the good of Singapore, AG Wong noted that no single person in the AGC unilaterally “determines” the public interest in the AGC. Ultimately, a fully considered decision can only be reached through the process of open engagement. The SLR would like to express its gratitude to AG Lucien Wong and Ms Deborah Barker, who have afforded us the opportunity to organize the event. The SLR's membership in 2017-2018. Executive Committee members of the SLR for 2017-2018.